*WARNING EMBARGOED - cannot run in print until Friday June 26. 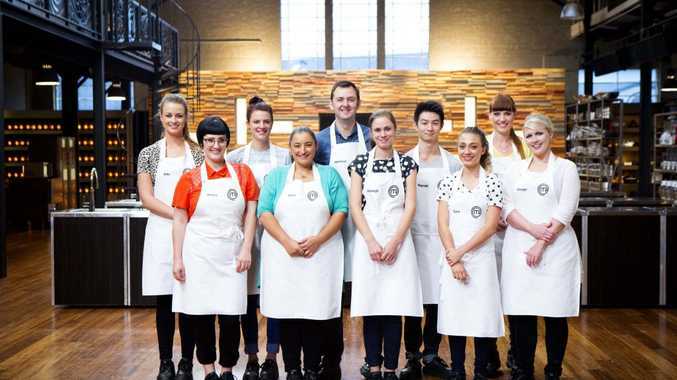 Cannot go online until 8.30pm on Thursday June 25* The 2015 MasterChef Top 10, front row from left, Jessica Arnott, Rose Adam, Ashleigh Bareham, Sara Oteri and Georgia Barnes, back row from left, Billie McKay, Jessie Spiby, Matthew Hopcraft, Reynold Poernomo and Amy Luttrell. Supplied by Channel 10. AS MASTERCHEF enters its final stretch, it is becoming increasingly likely this year's winner will be a woman. The Top 10 was finalised tonight after the previously eliminated cooks returned to cook for a spot back in the competition. After losing last night's high tea challenge, Sara, Jessie, Billie, Matthew and Rose faced elimination in the first round. Billie used her immunity pin to opt out of the cook-off, meaning Sunshine Coast cook Ashleigh is the only cook in the Top 10 to still have a pin. 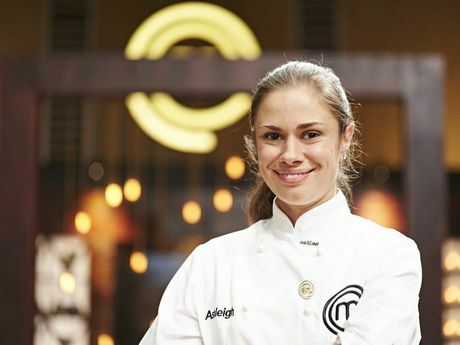 *WARNING EMBARGOED - cannot run in print until Wednesday June 24, cannot go online until 8.30pm Tuesday June 23* MasterChef contestant Ashleigh Bareham wins an immunity pin. Supplied by Channel 10. The remaining four cooks were asked to cook a delicious pie. Jessie's undercooked pastry saw her face off against Stephen, who was the best of the returning cooks with his lobster bisque. But Jessie held on to her position in the competition with a lobster dish of her own, which won out over Stephen's dessert that lacked the balance of acidity. The gender balance is now four to one with only two male cooks - Matthew Hopcraft and Reynold Poernomo - remaining in the contest.